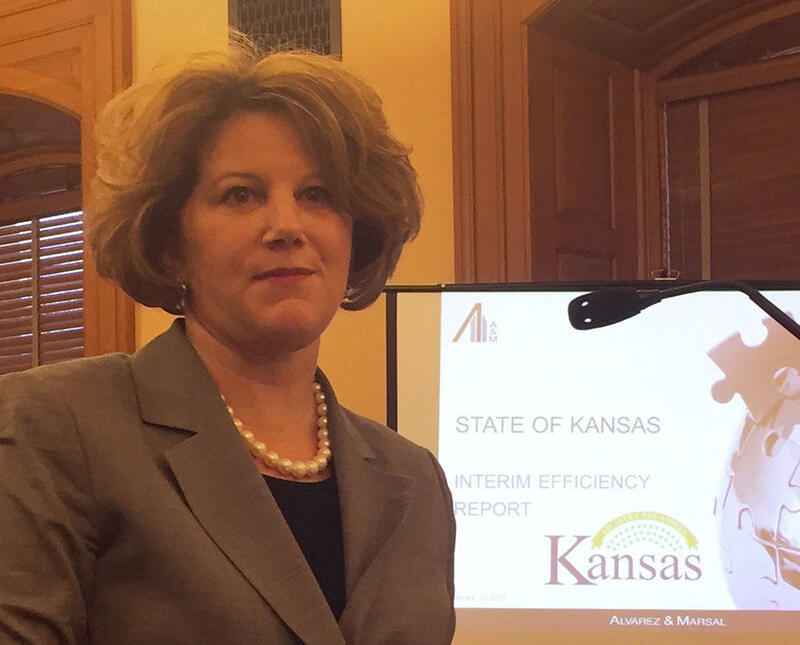 Melissa Glynn, of Alvarez and Marsal, presents the consulting firm's report on proposed efficiencies in state government to Kansas lawmakers. A tentative plan to save Kansas government more than $2 billion over five years relies heavily on proposed changes to the state employee health plan and Medicaid. Lawmakers and Gov. Sam Brownback have struggled to balance the state budget in recent years due to sharp drops in revenue, caused in part by income tax cuts approved in 2012. Last year, they were forced to approve large sales and tobacco tax increases to avert a $400 million budget shortfall. They start this year’s session facing a projected $190 million deficit in the fiscal 2017 budget, which they must approve before adjourning. However, one immediately sparked controversy. The report says the state could save nearly $124 million over five years by limiting state workers to one health insurance option, a high-deductible plan that would require employees to cover a significant portion of their medical costs with money from a health savings account to which both they and the state would contribute. Rep. Mark Kahrs, a Wichita Republican, said that while he’s not ready to endorse the recommendation, it’s worth discussing. “High-deductible plans are fairly normative in the private sector, so I think it’s a fair conversation to have,” Kahrs said, adding that he wants to discuss how such a change in policy might affect the state’s ability to attract and retain good employees before taking a position on it. 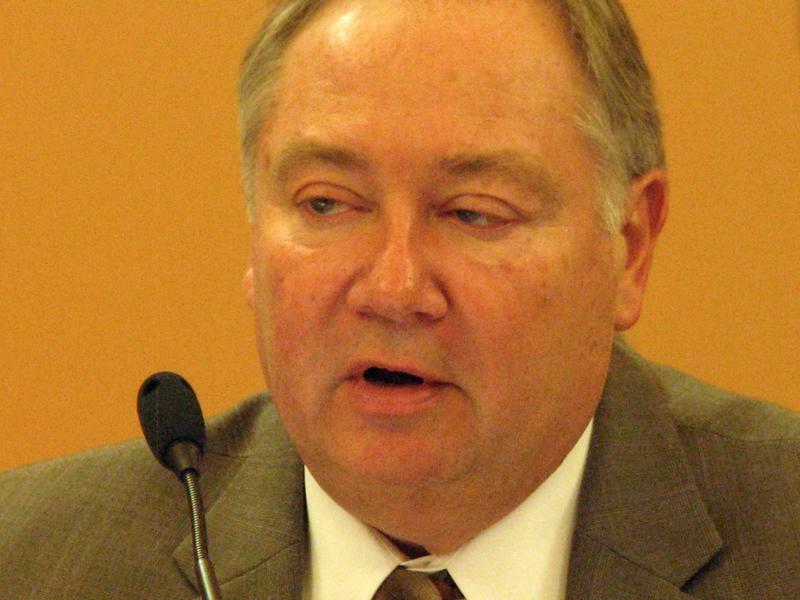 Rep. Jerry Henry of Atchison, the top Democrat on the committee, opposed the change, contending it would penalize state workers and make it harder for the state to recruit and retain them. “They’re going to lose purchasing power by going to this,” he said. The report also recommends that the state no longer allow retirees who are not yet 65 to continue their state health coverage until they become eligible for Medicare. Moving them into bridge plans offered in the insurance marketplace created by the federal Affordable Care Act would save the state an estimated $12 million to $15 million a year through 2021, the report says. Another recommendation focuses on reducing the cost of providing health insurance to the nearly 70,000 full-time employees of Kansas school districts. Currently, the state’s 286 districts have the option of participating in the state employee health plan, but few do. The report says creating a new “consolidated” state plan for school employees could save up to $80 million a year. The new plan would be separate from the state employee plan but would share administrative costs. Several of the 260 pages in the consultant’s report are devoted to addressing two problem areas in the state’s privatized Medicaid program, known as KanCare. 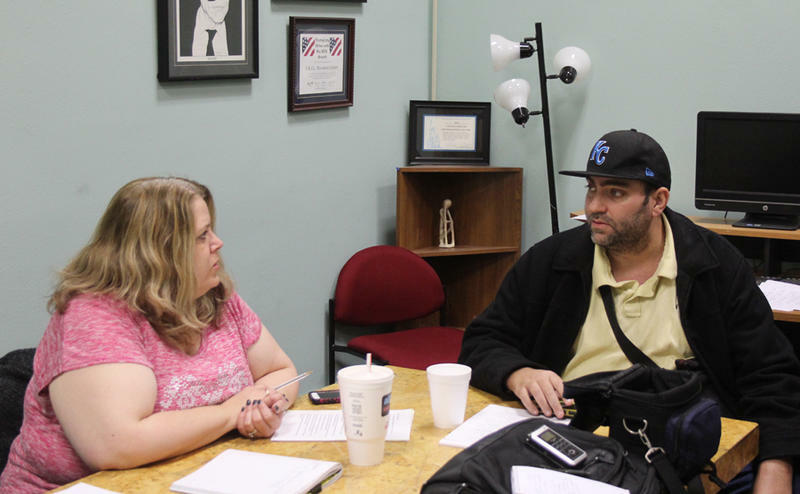 According to the report, Kansas has among the highest payment and eligibility error rates in the nation. Its payment error rate is 17.9 percent, almost 50 percent higher than the next highest state. Its eligibility error rate of 12.8 percent is nearly four times the national average of 3.3 percent. The report says the eligibility error rate “is the most concerning” because it means the state is paying the private insurance companies that run KanCare to cover people who aren’t eligible for the program. A recent decision by Brownback to transfer the main responsibility for determining KanCare eligibility from the Department for Children and Families to the Department of Health and Environment and stepped-up efforts to implement a new enrollment system that has been delayed for years and plagued by cost overruns are “important steps” toward addressing the problems, the report says. But they’re not enough. The consultants recommend “outsourcing all eligibility functions” to a private company. Reducing the eligibility error rate to the national average would save the state an estimated $60 million a year, according to the consultants. The state could achieve up to $6.5 million a year in KanCare savings by focusing on several childbirth policies, according to the report. Ensuring that babies aren’t delivered prior to 39 weeks gestation unless it’s medically necessary would reduce the number of low birth weight babies and expensive stays in neonatal inventive care units. And encouraging pregnant women enrolled in KanCare to deliver in birthing centers staffed by certified nurse midwives instead of hospitals could save more than $3,400 per birth, according to the report. That’s easier said than done. Increasing the use of birth centers would require changing state licensing laws to allow nurse midwives to practice independently. Currently, they must have a signed collaborative agreement with a sponsoring physician. “Kansas should define the role of CNMs (certified nurse midwives) and protect public safety by defining the scope of midwifery while recognizing and enabling full practice authority for CNMs,” the report says. Backers of a bill granting midwives full practice authority hope the consultant’s report improves its chances of passing. But fears that any health bill could lead to a floor debate on Medicaid expansion could limit the bill’s chances of getting out of the House or Senate health committees. Rep. Dan Hawkins, the Wichita Republican who chairs the House Health and Human Services Committee, said he supports the bill but isn’t sure whether the consultant’s recommendations will boost its chances.